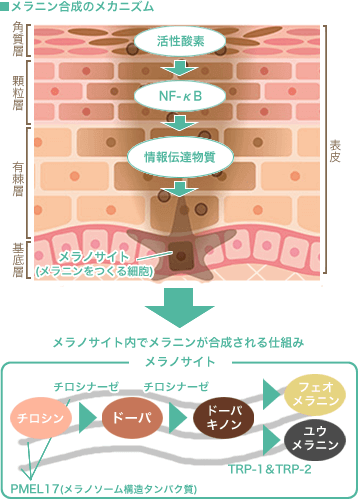 N.Kato, et al（1998）「Silk Protein, Sericin, Inhibits Lipid Peroxidation and Tyrosinase Activity.」Bioscience, Biotechnology, and Biochemistry(62)(1),145-147. SPIER HW, et al（1956）「Analytical and functional physiology of the skin surface.」Hautarzt(7)(2),55-60. R.Voegeli（1993）「Sericin silk protein:unique structure and properties.」Cosmetics&Toiletries(108),101-108.